A fox with nine tails. Legend has it that it can become a gorgeous woman to seduce men, With each tail having a different magic. 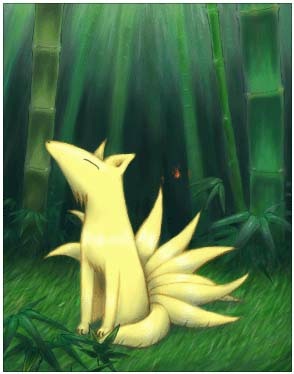 It is said that when a fox has lived for more than a thousand years, it will become a Nine Tail. If you meet it, Don't be fooled by its charm!